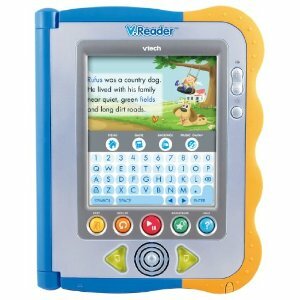 Thanks to all the reader comments from the past VTech V.Reader Giveaway. So many people left awesome tips on how they encourage their children to read. Within all the participating blogs, we were able to narrow this down and created the VTech Tips for Encouraging Kids to Read (PDF). This post was sponsored by VTech through Motherhood.com. Post was written 100% by me and was not edited by the sponsor. Read more on my Disclosure Policy.